I am set in my ways about a lot of food, although I have recently become a little more daring and decided to try new things. I have posted 3 banana bread recipes of 4 that I have tried. My tried and true is not on the blog and the other three were great. Only one of the 4 are different from regular old banana bread (Strawberry Cake Mix Banana Bread) because I like regular ole banana bread. When I had a craving for banana bread, I decided to see what recipes I had on my bread board on Pinterest and really wanted to make the Raspberry Dark Chocolate Banana Bread , however I only had frozen raspberries and semisweet chocolate chips. I did have a bag of Raspberry Dark Chocolate M&Ms and that was good enough for me, so I made the adaptation. It was delicious banana bread and I'm feeling a lot more comfortable about trying new banana bread flavor combinations. When I search for new recipes to make, I find myself being a very visual searcher. I like to see pictures of the food. It's kind of like judging a book by its cover, which I also totally am guilty of doing. 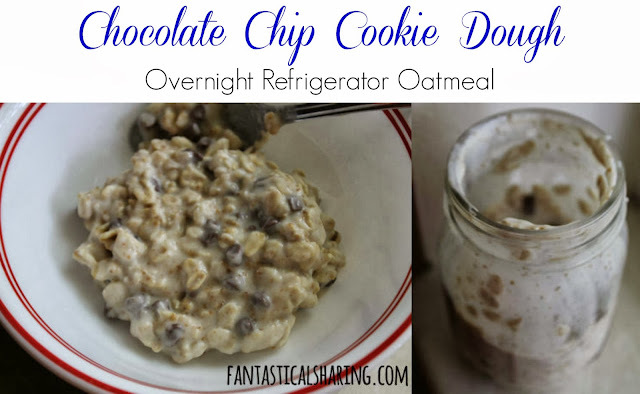 I found a picture of Refrigerator Oatmeal on Pinterest and that led me to The Yummy Life blog where it came from. There are actually a ton of variations of flavor combinations to test out...but I went rogue, y'all. I went rogue and created something that I had been craving. I'm pretty proud of myself for coming up with the flavor combination to make Chocolate Chip Cookie Dough - to sweeten it up, I used brown sugar. I added a touch of homemade vanilla extract (I think it was the rum vanilla extract) and then, of course, chocolate chips. This was AMAZING! I'm so glad I experimented because it was easily the best oatmeal I had ever had. I cannot wait to try out more variations of the refrigerator oatmeal - it's an easy fix and it's ready to go in the morning. There is no prep! It's time for yet another Secret Recipe Club reveal day. For those of you wondering, Secret Recipe Club is a group of a couple hundred food bloggers separated into 4 groups. Each month, each blogger gets assigned to a different blog in the group secretly and they make a recipe or two for reveal day. Each group posts on a different Monday - today is Group D's day to reveal what blogs we had and what we made. We have brinner every once in a while, so we actually had these for dinner and they were great! Fluffy pancakes, salty crunchy bacon, smooth peanut butter, and sweet bananas - I mean what else could you ask for?! Everyone needs a good shortcut to those box mixes - it's nice to be able to control what is being put into your food! I am in love with this pancake mix! I think this is the last pumpkin recipe I have to share for the season. I personally cannot get enough pumpkin. I try to have it all year round, so I don't binge once October hits. These pancakes are perfectly fluffy and every bit as good as they sound and look! I've never had a stack of IHOP's pumpkin pancakes due to the fact that the closest IHOP is over an hour away. Let's face it, for someone who hates mornings, I'm not driving an hour to get breakfast I can make at home! I love sweet and sour chicken and pork - and generally any type of Asian stir fry. What is it about the combination of soy sauce, meat, and veggies that is so addictive? I've posted quite a few different kinds of stir frys, but they've all been recipes with rice. This one uses pasta and I LOVE that. I'm a pasta fiend :) This is right up my alley. It just got cold in New York and I'm dreaming of warm summer days already. Some of our local grocery stores have some great frozen fruit mixes - this particular one is a favorite: mango, papaya, and pineapple. Gruyere is Nick's favorite cheese. After I finally convinced him to try gouda, he's more trusting of trying new cheeses. The first time he had Gruyere...I created a monster. He is a Gruyere aficionado. A very very enthusiastic aficionado. He's made everyone try Gruyere! We like to refer to it as fancy Gouda because it tastes a lot like Gouda...a little more mild, in my opinion. It's a great cheese for macaroni and cheese. This type of recipe has really ruined boxed macaroni and cheese for me. Homemade macaroni and cheese doesn't take that much longer to make than the boxed mix and the outcome is worth it. It's so much more worth it! I'm ending Grilled Cheese Week on a fancy note with these delicious fancy sandwiches. I'm not sure what's really fancy about it, but it has definitely made me rethink how I make regular ole grilled cheese sandwiches. From now on, the addition of garlic will be needed for ANY grilled cheese sandwich. It was nice to have spinach and three kinds of cheese with this sandwich too. I hadn't done a grilled cheese sandwich yet, and what better time than now in Grilled Cheese Week! The better quality deli meat you are able to get, the better this sandwich is - the prepackage stuff just won't do. Day 2 of Grilled Cheese Week is all about guacamole and gouda! Gouda is the bacon of cheeses, but it's even better when you get bacon gouda cheese. I have not had any luck with keeping fresh avocados fresh long enough to make anything from them, so I used guacamole in a jar. Still, the smooth guacamole with the juicy tomato and salty bacon-y cheese is a great combination for a grilled cheese sandwich! It's time for another themed week here on the blog! Grilled cheese sandwiches are extremely versatile and they are perfect with soup for the cooler fall and cold winter weather. I also have a favor to ask anyone browsing on a mobile device - since I can't get the pin it button to work at the top of the page, I installed a social media share set on the footer of each post. If any of you mobile users can pin using that, could you leave me a comment if it's successful? I would greatly appreciate it! A few short months ago, I fell in love. Now I can dirty dishes without worrying about doing too many dishes by hand because my nasty dishwasher doesn't really clean them. This means that I need to bake some things. These Nutella Twix Blondies are perfect for a quick fix on the weekend. They are chewy with a bit of crunch from the Twix with some delicious Nutella drizzled over the top. YUM! Oh! I also updated my blog look. I started scheming a few weeks ago and I hope to keep it this way for a WHILE. I put categories right up top for easy access and I hope that'll be better than what I had up there. If you notice on the right, I have a category for Fantastical Friday. That is something new I'll be starting in January and I'm really excited for that :) You may notice my pin it button at the top of the post is gone and I will be working to fix that as soon as possible. It is no longer summer, by a long shot especially here in New York, however, it seems like our stores have more zucchini and yellow squash in stock than were available during the summer. I have had quite a few zucchini boat or stuffed squash recipes, but never got around to making them. I've been trying to coax my kids to eat yellow squash a bit more and they usually will eat it when it's paired with spaghetti or pasta of some sort. 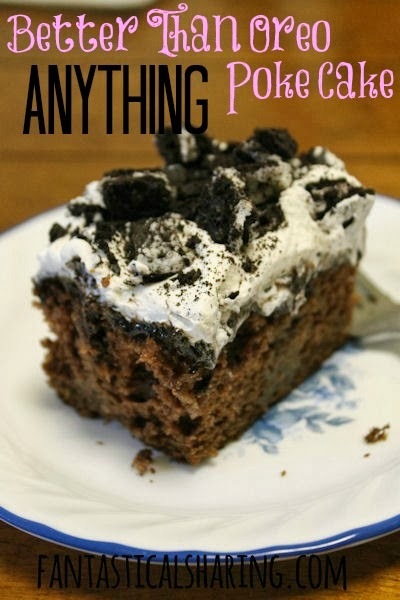 So it only makes sense that this recipe would be good to test out on them. They both loved it. My 6 year old can smell Italian sausage from a mile away, so he didn't hesitate to gobble it up. I couldn't wait to make this one again and get a better picture, I just had to share this one now! The cream cheese takes on an alfredo-like flavor without being too heavy. I'm quickly becoming a fan of cherry tomatoes with any pasta dish - whether it's alfredo-based, tomato-based, or just a light butter or oil coating. I love the little burst of juiciness! ...and can we get to the best part of the whole dish - BACON-WRAPPED CHICKEN!! Sorry, not sorry, for the caps lock, but bacon-wrapped chicken deserves it. All together, the different components make for a delicious and filling meal. In September, I posted a recipe using leftovers for a Meximelt copycat. I finally am posting the Meximelt recipe that gave me the means to make a delicious pasta dish. This year is going to be a little rough as far as Thanksgivings go. Each year, we've had a large Thanksgiving with our military family at someone else's house and it's been amazing and fun. This would actually be our last year to celebrate with our military family, but most are deployed or have moved away. Nick is deployed too, so this is going to be a quiet Thanksgiving, which absolutely bums me out. What's amazing about the bacon is not only is it bacon...but it self-bastes while it cooks. It's easily the best turkey that I've ever had. Everyone raved about how good it was too! So if you're looking for a new way to make that Thanksgiving main course - look no further!